As the people around the world is becoming more and more health conscious, and are giving more importance to following balanced diet plans, green vegetables are gaining more popularity than ever before. Lettuce, being one of the oldest vegetables known to us is one among the most prominent green vegetable used around the world. Lettuce more commonly known as salad patta in India, belongs to a family of green leafy vegetables Latuca, is highly rich in minerals, vitamins and fibre. It is found growing in the Mediterranean and the Middle East and is available in many types such as green or red leaves, iceberg, asparagus lettuce or romaine. Like the name salad patta suggests, this is widely used in many nutritious foods such as salads, sandwiches and wraps and also used for making juices. This vegetable is easily grown during spring season when the soil is dry enough. Let us see some of the benefits of this wonderful leafy vegetable. Compress made from lettuce can help in curing acne and other problems related to skin. Compress can be made by boiling two salads of lettuce leaf in one litre of water for about 20 minutes. Then keep it in room temperature for minimum ten minutes and then use it on your face and other body parts. The compress made out of lettuce leaves is found to be effective against several skin related problems. As a rich source of vitamin A, having six leaves of lettuce a day can provide up to more than 100 percent of your daily requirement of vitamin A. vitamin A helps in revitalising your skin by increasing the cell power. So make lettuce part of your daily diet and help your skin become healthier. Lettuce has a good combination of vitamin C and Vitamin E that helps in keeping your skin healthy even as you age. Vitamin E also helps in protecting your skin from Ultraviolet rays of the sun, and reduces the risk of cataracts and muscular degeneration. Having lettuce helps in stimulating your appetite and also removes toxins from the body. It can also cure yourself from haemoglobin deficiencies and deficiency of mineral salts and thus make your skin more clear and radiant. Lettuce is also a rich source of potassium. This helps in improving supply of nutrients and improves the circulation of oxygen and thus helping the skin become healthy and glowing. Compress made of lettuce is also good for toning your facial skin. Hence it can be used as a mask which is found highly effective for people with dry skin. Having lettuce also helps in giving you a good sleep. Infusion made from lettuce salad is found to have anti spastic effect and works as a diuretic and sedative. This helps in giving you a good sleep which provides good benefits for your skin. Hair also requires adequate supply of nutrients, minerals and vitamins like other parts of your body for its growth and health. If you are looking for a good healthy hair, lettuce can offer lot of benefits for your hair because of its nutritional properties. Lettuce is a source for many micro minerals required by our body. It contains 8% silicon, 9% phosphorus and lot of sulphur enough for our body requirements. These minerals are important for maintaining skin, hair and nails healthy. Having food in the inorganic form is the most important cause for hair loss. Having food such as cereals and other devitalised foods does not allow hair to receive proper nourishment. Having lettuce helps you solve this problem because it can provide proper nourishment to your hair in the form of vitamins and essential nutrients. Making lettuce juice part of your daily diet will help in moving food to the nerves and roots of the hair. Hence consuming lettuce juice regularly will help in stimulating hair growth. Different types of lettuce vary with its nutritional benefits. 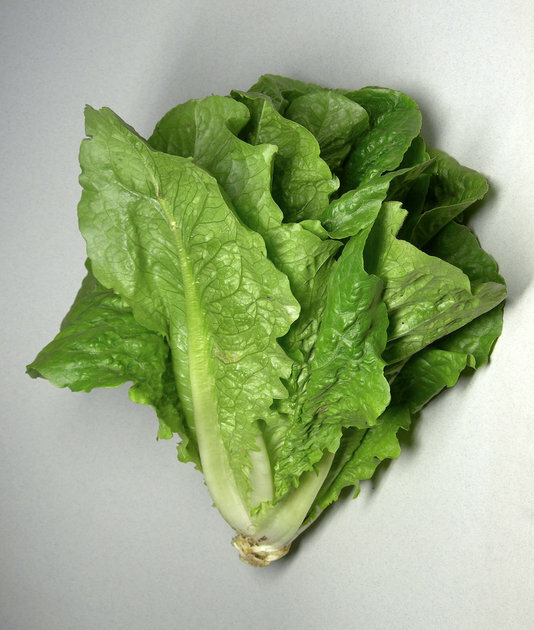 Romaine is the variety which is high in nutrition compared to other varieties such as iceberg. There are lot of other health benefits for lettuce. Lettuce contains around 20% of its total quantity as proteins which are the building blocks for a developing body. They will help for muscle development and are essential for many metabolic reactions in the body. Lettuce has less sugar content and so is good for the body. Lettuce is also a source for iron which is very important to maintain the blood haemoglobin levels and provide many heart related benefits. Lettuce is also source for vitamin K and vitamin C. vitamin K is essential for women during pre conception and pregnancy stages as they prevent neural defects during pregnancy. Vitamin C helps in preventing free radical formation and curb unwanted reactions that lead to diseases.